All the areas listed have a population of between 10,000 and 50,000. The top small towns to live in list, published last year, stated that many of these destinations are good for families with many having good schools and lots of green open spaces for recreational activities. 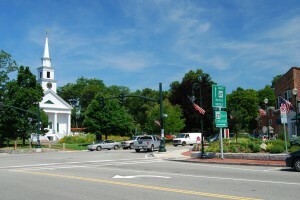 Sharon is a town which is part of Greater Boston, under 20 miles from Boston. Sharon is known for its nature trials and scenic walks on the outskirts of the town. Louisville has a mining heritage but is now a mainly residential area. The city is often ranked in ‘Best City to Live in’ and ‘Best City to raise a family in’ surveys, affordability of housing and cost of living being a key factor. There are also plenty of parks and a well regarded public library, the Louisville Public Library. Vienna has good schools and employment opportunities. It is known for having a lot of green open space and friendly to walkers and cyclists. Near to the city of Minneapolis, Chanhassen is famous for its parks and open spaces, which is one of the reasons it is featured in this list. The town is also home to many beaches around the lake. The singer Prince is a notable resident. Sherwood has a convenient location between Oregon City and Portland and also near to the wine country of Willamette Valley. It has a historic feel, being influenced by the 1849 Gold Rush. A town popular for commuters to NYC, it also has many pharmaceutical companies providing employment in the area. The Watchung Reservation is a large forest park popular with residents with many recreational activities available such as golf, horseback riding, playgrounds for children and of course hiking. The ‘Home of the Comets’ is an affluent, busy area famous for tennis centres and tennis tournaments such as the Western and Southern Open. Mason is also famous for the Kings Island Amusement Park and two other water parks. There are job opportunities available in a wide range of industries including tech companies and manufacturing. Bloomberg Magazine named Papillion the best place to raise children in a Nebraska in a recent survey, it also scores highly in other livability surveys. This is likely to be due to its low crime rate and family friendly environment. Residents with families enjoy numerous facilities including the playgrounds such as Halleck Park. The Sarpy County city is a former railroad town, named after butterflies and it is sometimes referred to as ‘Papio’ by residents. It is a popular commuter town for Omaha. 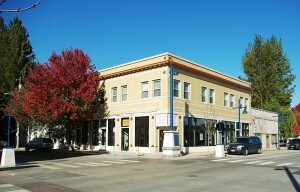 Apex is a suburb of North Carolina’s second city, Raleigh. 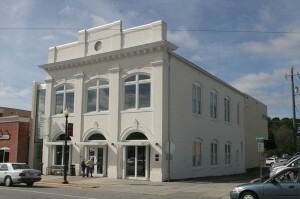 It has cultural events to offer its residents including an annual Jazz festival. Apex is often voted as one of the best places to live in livability studies also. The Research Triangle Park is a hub for R&D operations and home to more than 170 multi-national companies including IBM, Credit Suisse and Cisco, therefore providing a wide range of various employment opportunities. Research Triangle Park is the largest research park in the USA and is also home to many start up companies. West Goshen residents can shop at one of the USA’s largest malls, the King of Prussia Mall, which is nearby. West Goshen is a popular commuter town for Philadelphia and Wilmington.